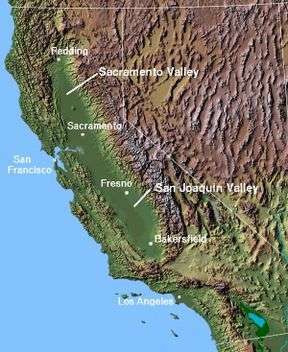 The San Joaquin Valley /ˌsæn hwɑːˈkiːn/ is the area of the Central Valley of the U.S. state of California that lies south of the Sacramento–San Joaquin River Delta and is drained by the San Joaquin River. 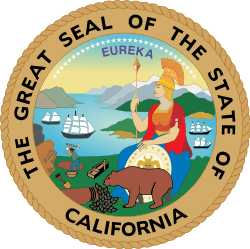 It comprises seven Northern California counties—all of Kings County; a majority of Fresno, Merced, Stanislaus counties; segments of Madera and Tulare counties—and all of Kern County, in Southern California. 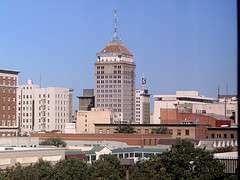 Although a majority of the valley is rural, it does contain urban cities such as Fresno, Bakersfield, Stockton, Modesto, Turlock, Porterville, Visalia, Merced, and Hanford. 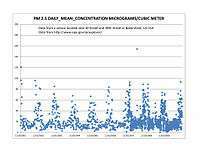 In August 2015, the Director of the California Department of Water Resources stated, "Because of increased pumping, groundwater levels are reaching record lows—up to 100 feet lower than previous records." Research from NASA shows that parts of the San Joaquin Valley sank as much as 8 inches (0.20 m) in a four-month period, and land near Corcoran sank 13 inches (0.33 m) in 8 months. The sinking has destroyed thousands of groundwater well casings and has the potential to damage aqueducts, roads, bridges, and flood-control structures. In the long term, the subsidence caused by extracting groundwater could irreversibly reduce the underground aquifer's water storage capacity. By some estimates, federal restrictions on shallow well irrigation systems threaten the productivity of the San Joaquin Valley, which produces the majority of the 12.8% of the United States' agricultural production (as measured by dollar value) that comes from California. Grapes—table, raisin, and to a lesser extent wine—are perhaps the valley's highest-profile product, but equally (if not more) important are cotton, nuts (especially almonds and pistachios), citrus, and vegetables. Though it has been called "The food basket of the World", the San Joaquin Valley has not been nationally recognized for the diversity of its produce. Walnuts, oranges, peaches, garlic, tangerines, tomatoes, kiwis, hay, alfalfa and numerous other crops have been harvested with great success. DeRuosi Nut, a large walnut processing plant in Escalon, has been in the valley since 1947. Certain places are identified quite strongly with a given crop: Stockton produces the majority of the domestic asparagus consumed in the United States, and Fresno is the largest producer of raisins. The San Joaquin Valley has been a major influence in American country, soul, nu metal, R&B, and hip hop music particularly through the Bakersfield Sound, the Doowop Era, and Bakersfield Rap Scene, also referred to as Central California Hip hop, or Central Valley Hip Hop, which are all subgenres of West Coast Hip hop, Gangsta rap, Mobb music, and G-Funk. The Valley has been the home to many country, nu metal, and doo-wop musicians and singers, such as Buck Owens, Merle Haggard, Billy Mize, Korn, Red Simpson, Dennis Payne, The Maddox Brothers and Rose, The Paradons, The Colts, and the Sons of the San Joaquin. 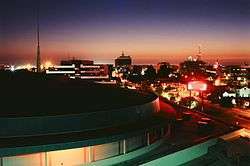 The San Joaquin Valley is also home to many Indie Hip Hop labels, R&B singers, Jazz & Funk musicians, and Hip Hop artist such as: DJ Flash, Fashawn, Killa Tay, The Def Dames, Cali Agents, The Black Diamond Band, Planet Asia. The Valley also has a strong literary tradition, heavy in poetry, producing many famous poets such as Sherley Anne Williams, and Gary Soto, current U.S. Poet Laureate Juan Felipe Herrera, and David St. John. An MFA Creative Writing program started by former US Poet Laureate Philip Levine, resides at Fresno State, continuing to cultivate the region's literary talent. 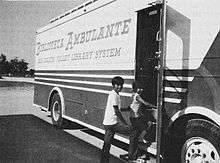 While the barrios of East Los Angeles are California's most famous areas dominated by persons of Mexican ancestry, both first-generation Mexican immigrants and well-established Chicanos are important populations in the San Joaquin Valley. Since the onset of the bracero program during World War II, virtually all of the agricultural workers in the region have been of Mexican ancestry. 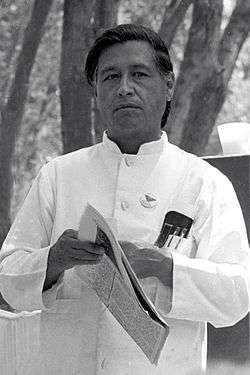 Ethnic and economic friction between Mexican-Americans and the valley's predominantly white farming elite manifested itself most notably during the 1960s and 1970s, when the United Farm Workers, led by César Chávez, went on numerous strikes and called for boycotts of table grapes. The UFW generated enormous sympathy throughout the United States, even managing to terminate several agricultural mechanization projects at the United States Department of Agriculture. However, from the 1970s onward, landlords and large corporations have also hired undocumented immigrants, because of the ability to work long hours for low pay due to no income tax on undocumented salaries. The surviving stronghold of civilization on the West Coast in popular Science-Fiction book Lucifer's Hammer. 1 2 "California drought will affect the global agriculture industry". Los Angeles News.Net. 17 August 2014. Retrieved 18 August 2014. 1 2 "NASA Report: Drought Causing Valley Land to Sink" (PDF). 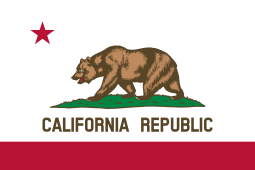 California Department of Water Resources. August 19, 2015. Retrieved 2016-05-27. ↑ "NASA: California Drought Causing Valley Land to Sink". Jet Propulsion Laboratory. August 19, 2015. Retrieved 2016-05-27. ↑ "San Joaquin Valley/Hanford, CA". National Weather Service Forecast Office. Retrieved 2011-11-13. ↑ "How We Survive: Sprouting Up in Empty Breadbaskets". National Radio Project: Making Contact. Season 12. Episode 45. 2009-11-11. Retrieved 2016-05-27. ↑ "Big West to Suspend Operations at its Refinery on Rosedale Highway". KGET News. January 28, 2009. ↑ "Occidental Announces Major Oil and Gas Discovery in Kern County". California Energy News. July 23, 2009.